Outwell Cloud 5 Encounter Tent is a 2-room extended-dome type structure for 5 people, with a 3000 mm rating, 2 doors, tinted PVC windows, and with a very reasonable price. Outwell Cloud 5 Encounter Tent. In fact, the tent is an extended dome type with the main inner section which is a tent within the tent, plus the front extension with a removable bathtub floor. This front section is a room in the full sense, with a full protection against the rain and flying insects. So the tent is a 2-room structure. The front extension is supported by an extra pole and to have it fully functional, it must be properly staked down, so the tent is not freestanding although really it looks like a freestanding one. The structure is a hybrid 2-layer (in the inner section) and a single layer (in the front room), and this is just fine as you have two layers where you need it, i.e., in the sleeping zone where condensation is normally the main issue. So this is a good and functional construction, the inner tent attaches to the shell and you can keep it that way when packed for an easy pitch. Capacity-wise, this is a 5-person tent, so let’s see what it offers. The inner area is 300 x 220 cm so you have 6.6 m² (71 ft²). They do not give the numbers for the front room but my estimate is that you have some 4 m² (43 ft²). Hence, the total area is 10.6 m² (114 ft²) and this gives 2.12 m² (22.8 ft²) per person, see the floor plan below. So this all sounds quite good to me. But if you want something totally different, check their Nevada 5, Edmonds 5A, and also Flagstaff 5 tents, those are all giant tunnel type tents with far more space. The floor plan showing the inner room and the front room with all the doors. Seasons-wise, this tent is with a very good waterproof rating (more below) and quite an aerodynamic structure, though with fiberglass poles, and quite tall for a dome tent. The peak height is 185 cm (72.8 in). So I have no doubt that it can withstand a lot, and this is a true 3-season tent. Climate-wise, the tent is without much mesh in its construction so it is better suited for a cooler and wet environment than for a warm and dry climate. Weight-wise, with 19.6 lb (8.9 kg) it is a bit heavy to be carried anywhere, so this is a camping tool at places with a motorized access. Note that the packed size is 26.8 x 7.5 inches (68 x 19 cm), so you can transport it even on a motorbike or bicycle. You have fiberglass poles here, so this is a heavy material and not particularly durable. This makes it different from the other models of this brand mentioned above where you have either steel, or combination steel-fiberglass, or air-beams. The poles are 11 mm in the diameter and you have them 3. But they claim this is a bit stronger type of fiberglass than what you would normally find in other tents with such poles. You have color-coded sleeves where the poles go, for an easy pitch, see the picture below. Fiberglass poles attached with sleeves and clips. Wind guard system for extra stability. 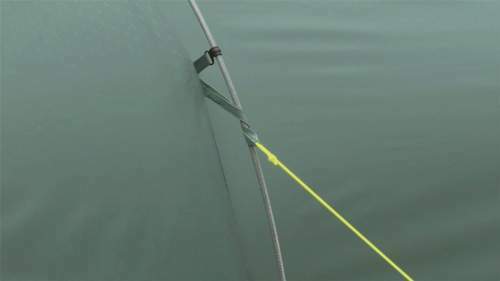 Here you also have the Outwell Wind Guard System for a better stability in high winds, you can see the part of it in the picture above which shows the extra elements between the pole and the shell. The sleeves also play the role here to spread the wind force loading. The shell is what they call Outtex 3000, which is 100% polyester taffeta with taped seams and with the hydrostatic head of 3000 mm. So this is quite a lot and it is unlikely you will ever need more. You also have a thermo-reflective coating on the flysheet. As mentioned above, the floor in the front room is detachable and it is bathtub profile, so you can toggle it to the tent shell or remove when not needed. Here and under the inner tent where you have a fully sealed groundsheet, you have a waterproof rating of 10000 mm. This is a double-coated polyethylene material. The inner tent is a breathable 100% polyester. The inner tent is a polyester taffeta and it is attached to the shell. Tinted PVC windows are with the inner blinds and toggles. There are two large D-shaped inner doors plus two entry doors, one is D-shaped front entry door and one is an inverted T-shaped back door. There is no second mesh layer on the entry doors, pity. Note that the previous version of this tent is without the back door, just to know if you see it somewhere and to avoid confusion. The inner doors are with mesh sections in their upper parts, for ventilation. The front room is with two PVC and tinted windows, they are also with shutters from inside for privacy and for reduced glare. You have toggles to fix them in place. 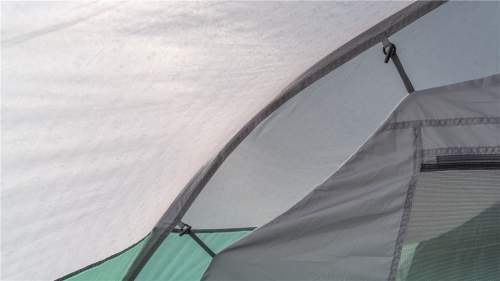 There are 2 vents on the front room, equipped with Velcro stiffeners, plus one on the back side of the tent, and you also have several mesh sections on the inner doors. The inner tent is well separated from the shell so you have a free air flow around the structure. This should reduce condensation. But as I see it, the structure is not for a very warm climate. A couple of mesh pockets in the inner tent. Guylines retainers – Velcro tabs which keep them tidy and packed. Not sewn in floor in the front room. No mesh on the entry doors. 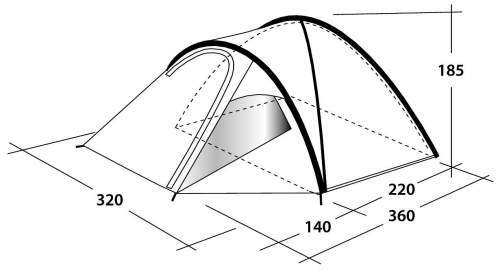 Type: camping tent, non-freestanding extended dome. Weight: 19.6 lb (8.9 kg). Dimensions: 142 x 126 in (360 x 320 cm). Inner area: 71 ft² (6.6 m²). Total protected area: 114 ft² (10.6 m²). Total area per person: 22.8 ft² (2.12 m²). Packed size (L x D): 26.8 x 7.5 in (68 x 19 cm). Peak height: 72.8 in (185 cm). 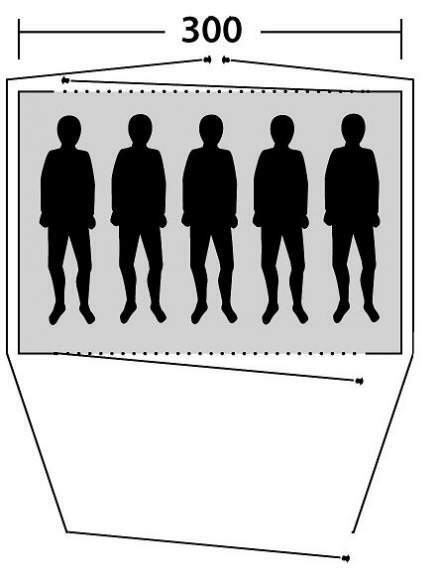 In the table below, I give this Cloud 5 tent side by side with two other 5-person tents, this is the best way to understand the meaning of the parameters and it might help you to make an informed choice. Note that the other two tents are tunnel type and they offer more comfort. 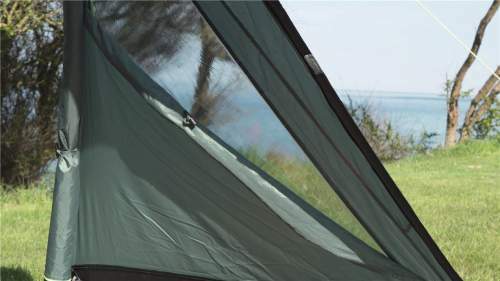 In the summary of this Outwell Cloud 5 Encounter Tent review, I would stress that this is a reliable tent with a big waterproof rating and a structure which offers quite enough space for 5 people. The price is very reasonable. But as I pointed out above, it lacks some features like the mesh on the entry doors, more pockets, etc. So if you need something more comfortable, please check the other tents from this brand, I already mentioned some of them above, or just search in the category 5-person tents here in the site. Check this Coleman Namakan Fast-Pitch Dome Tent 5 with a fast-pitch design. You might want to see also this Coleman Galileo 5 tunnel tent. Check also my list with best 5-person tents. 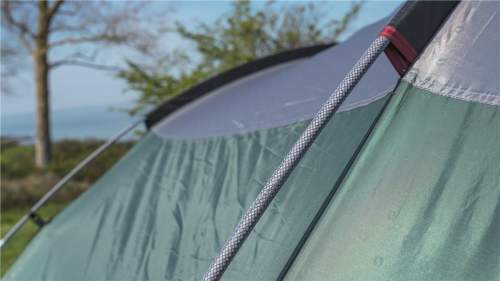 For UK & EU visitors, to check the price or to order this tent, please check here. If you order this tent or if you have used it in the past, it will be great to hear your experience with it, there is a comment box below. Thank you for reading, I wish you a nice day.